This has become a continuous effort. The trend here is to steal materials from each others nests. 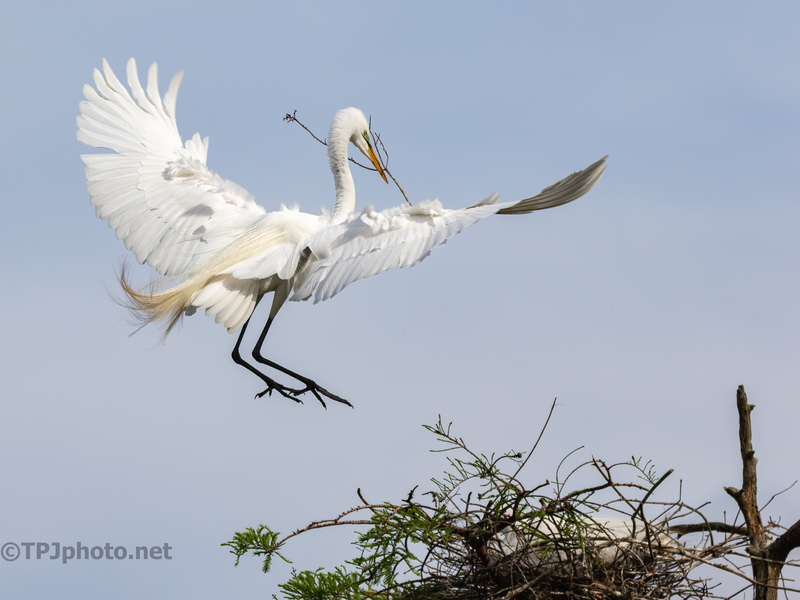 Egrets and Anhinga are the main culprit. The Great Blue Heron help the process in a different way. If a nest is too close to their own they simply dismantle it, throwing the material down into the water. 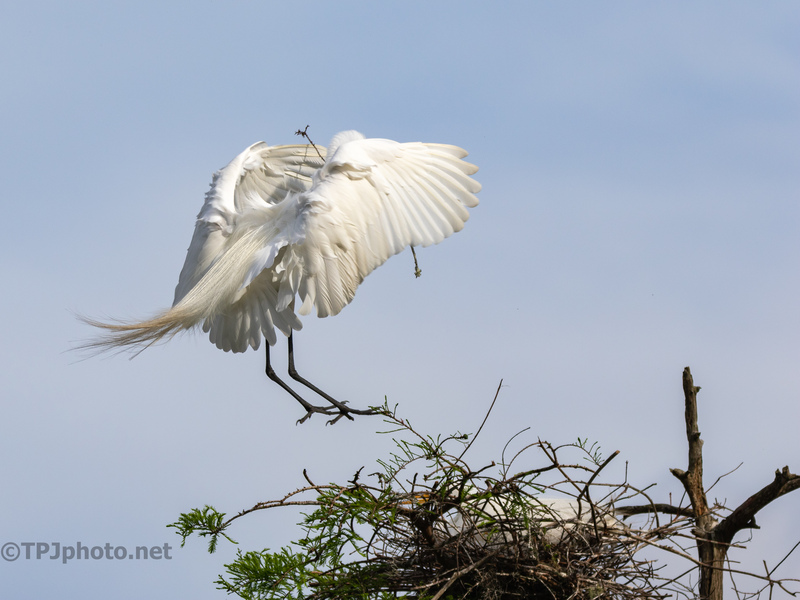 Of course some Egret will swoop down and grab branches starting the whole cycle all over again. It’s getting hard to keep track. Great photos – and it’s amusing to know what the birds get up to with each other’s nests…must be quite something to watch! It’s an adventure, until it turns ugly. But most times it’s all noise.